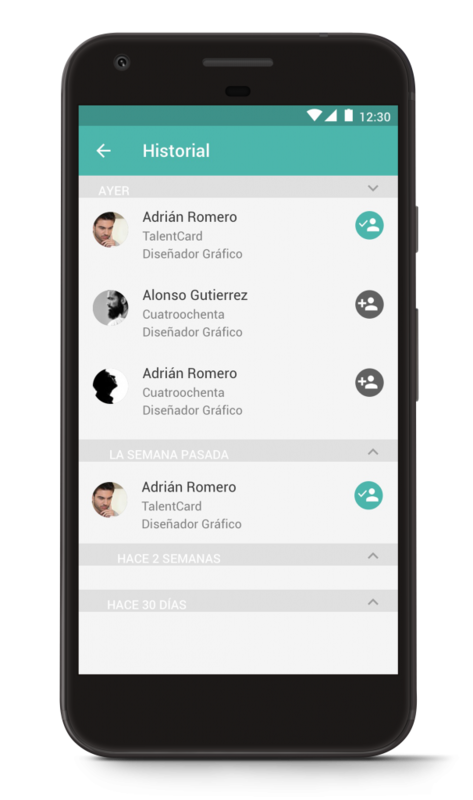 Create and manage a digital cardholder in a convenient and simple way, directly from your mobile device. 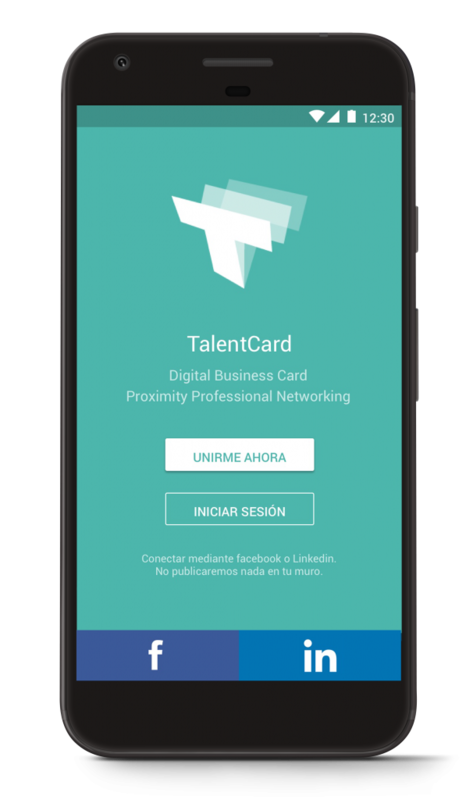 Present your professional contacts in digital, in a more complete and interactive way. Exchange digital cards with other users. Your professional contacts at your fingertips. 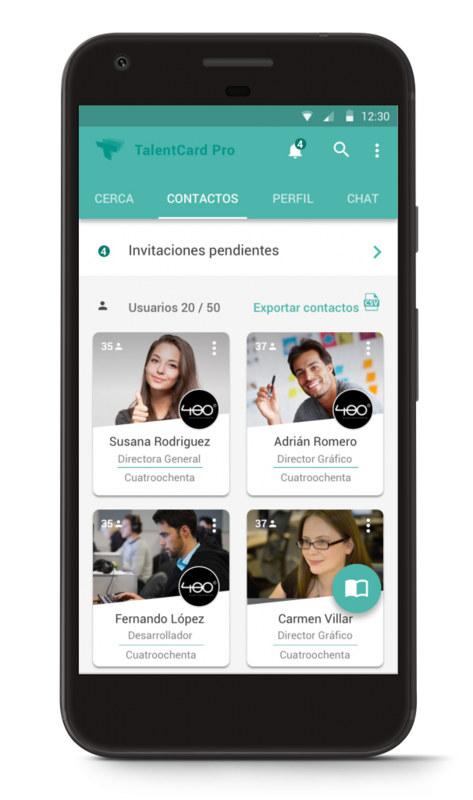 Call, send emails and chat with your professional contacts, quickly and easily. Send notifications to all your contacts. Export your contacts to your desktop applications. Write recommendations and make presentations among other users. 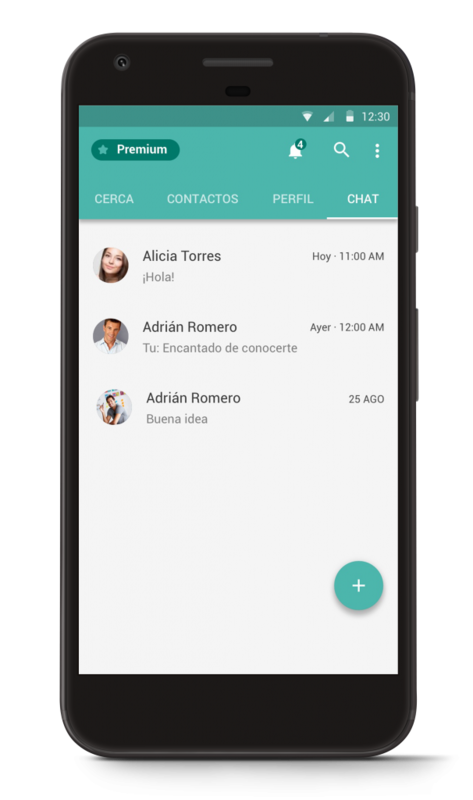 Integrate your contact list with your phone features. 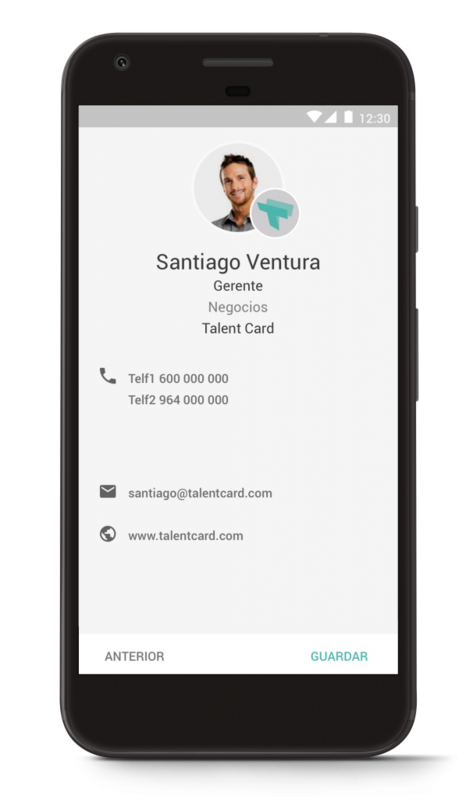 TalentCard Pro offers you an advanced subscription-based paid service with feature enhancements.